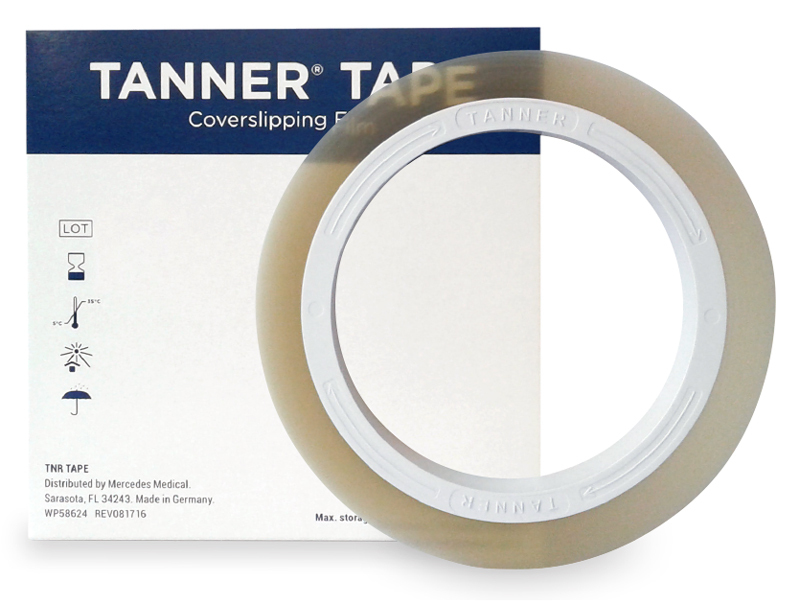 The Tanner Scientific Coverslipping Film TNR TAPE is usable in all automatic film coverslippers. It is free of aromatic solvents like Xylol and Benzol. "Vario Texture" surface structure for a better distribution of solvent drops without any effects on the high transparency of the film after coverslipping. Transport Conditions: 5°C - 35°C / 25% to 75% r.H. Storage Conditions: 5°C - 30°C / 30% to 70% r.H.
Avoid direct sunlight exposure, direct water contact and long term exposure to temperatures over 40°C (40°C max. 24 hrs). It is important to know that temperatures above 30°C could cause a reduction of the surface structure, a film deformation and reduced long term adhesion between the film and the slide. 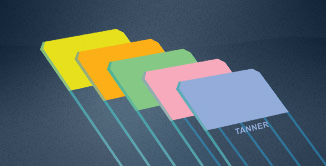 The film package should be opened and stored in a dust-free environment at a temperature range of 18°C to 25°C and humidity levels of 45% to 55% r.H. for at least 2 hours prior to use. 18°C to 25°C / 40% to 50% r.H. Please store in suitable containers / slide holders / racks and avoid sunlight / UV-light exposure. The film compound contains cellulose derivative and polyacrylates and has to be disposed according to local, state and federal regulations and laws. The coverslipping film and the related plastic core (polypropylen) are not subject to declaration according to ordinance on hazardous substances. 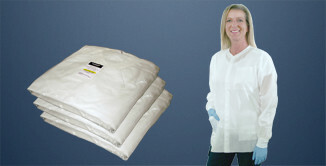 The product can be used for a minimum of 12 months after manufacturing.